There’s been a lot of discussion around superfoods lately and I wanted to talk about why they are classed as ‘super’. First off they are nutritionally dense products, that contain a high percentage of vitamins, minerals, and antioxidants that are said to benefit our health, which is definitely a plus for me! 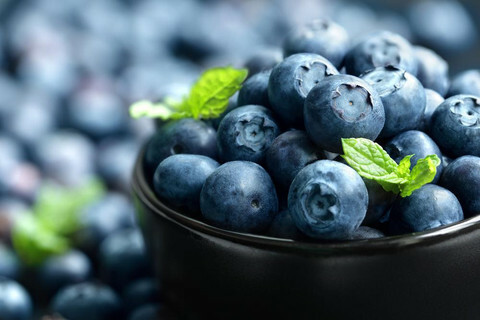 Here are some popular examples of them..
Blueberries are often at the very top of the superfood list because they are full of vitamins and phytochemicals called flavonoids. These amazing nutrients can also appear in many other kinds of berries, including strawberries and cranberries. Various studies have claimed that these powerful berries may help to reduce the risk of certain heart conditions and other diseases. I love to incorporate blueberries into my diet. Whether it’s as a snack with some natural yoghurt, or blitzed into a smoothie, these are just a couple of the many many ideas that you can take on and ensure you’re consuming even more than you were before. 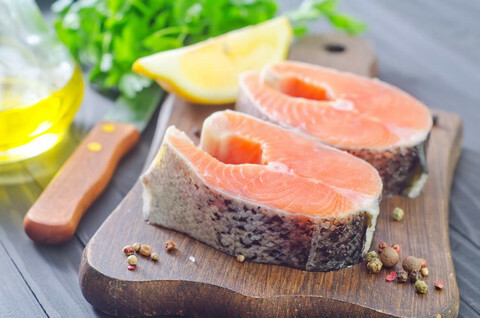 I may be slightly biased but Salmon is my all-time favourite oily fish and I’ve actually only discovered it back in 2011! There are plenty of other varieties though, such as sardines and mackerel which are both rich in omega-3 and benevolent fatty acids which are thought to lower the risk of heart disease and stroke. I often cook with oily fish as it incorporates plenty of natural protein and ensures I obtain my required daily allowance without resorting to an extra protein shake right before bed! 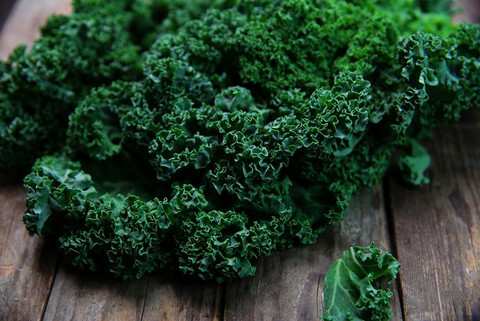 Over the past few years Kale has become a well-known superfood. It has already been well-established in the USA but more recently been taken on and loved by us Brits! There are also other leafy greens with superfood benefits such as chard, spinach and cabby. These dark, leafy greens are loaded with vitamins A, C and K, as well as calcium and other minerals. For some time now I’ve wanted to discuss the real power of broccoli and the health benefits of this ‘super veg’ superfood. It contains a high percentage of Vitamin C, as well as Vitamin K and A, along with pleny of fibre and other antioxidants. 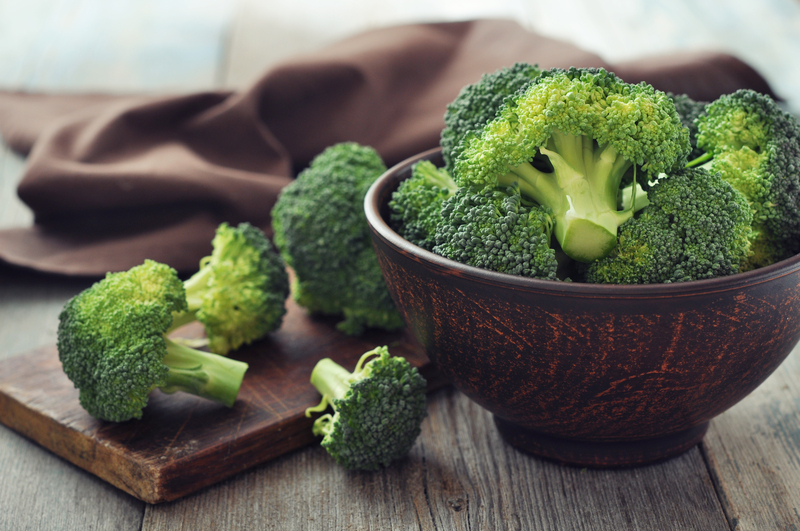 Eating plenty of broccoli has shown by a variety of studies to help reduce the risk of cancer, as well as helping to lower blood pressure. Other health benefits include helping to reduce diabetes as well preventing cardiovascular disease. Whether you decide to boil it, steam it, roast it, or add it towards the end of a casserole, this really is one of the best vegetables out there, oh and it tastes great too! These are just some examples of the many superfoods out there, designed to benefit your long-term health in some way. If you want to look after your body, always keep these in mind and find a way to incorporate them into your regular diet. For instance, when you run out of one of these superfoods, get it on the shopping list right away. The more these foods are readily available, the more likely you are to consume them! This post has been sponsored in conjunction with NutriPlan and although I received a commission for writing this post, I must admit that they have gone to a lot of effort to ensure that their Detox plans incorporate a high number of superfoods and the benefits of them. NutriPlan Silver packed with Goji Berry, Aloe Vera, Resveratrol, Coenzyme Q10, Acai Berry, Cranberry, Vitamin B6 and Niacin. NutriPlan Gold rich in Spirulina, Oat Fibre, Kale, Spinach, Avocado, Barley Grass, Watercress, Blackcurrant and Carrot. I’m currently testing out one of their Silver Detox Plan and will provide you with the results very soon. In the meantime always remember that although consuming these popular ‘superfoods’ is certainly a good idea, the key to a healthy diet is to consume a variety of nutritious foods in the correct quantities.